Flat "Kevlar" seams. This is an expensive ball for people that want to use wheeled pitching machines, not damage the wheels, and reduce wear on the ball. 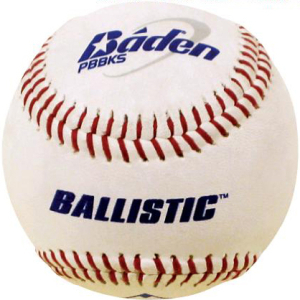 Hits like a real baseball, but less likely to create errant pitch. Sold in 10 dozen per case. Shipping is 30 per case. Free shipping if ordering more than 6 cases.